I have been a cardiothoracic transplant and ventricular assist device nurse since graduating in 2001 from Bradley University in Peoria, IL. I moved to Rochester, MN to work at Mayo Clinic and after finishing my master’s degree in nursing from Winona State University. I moved to Grand Rapids, MI to help start Spectrum Health’s ventricular assist device and transplant program as the clinical nurse specialist. 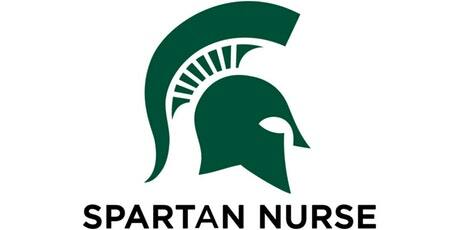 I recently earned my doctorate in nursing practice from Michigan State University. I am the Program Director of the Clinical Nurse Specialist Program, assistant professor at Michigan State University’s College of Nursing, and a clinical nurse specialist at McLaren Greater Lansing. I have recently been appointed to the Michigan Board of Nursing. I want to improve patient outcomes by leading and inspiring change in healthcare through my clinical expertise, education, and positive energy. Online Graduate Nursing Program Jumps 15 Spots Nationally. The Adult Gerontology Clinical Nurse Specialist program at Michigan State University College of Nursing has continued to climb in the national rankings. It is now at #11 in the U.S. News & World Report’s Best Online Graduate Programs for 2018. Continue reading here.